First post here! 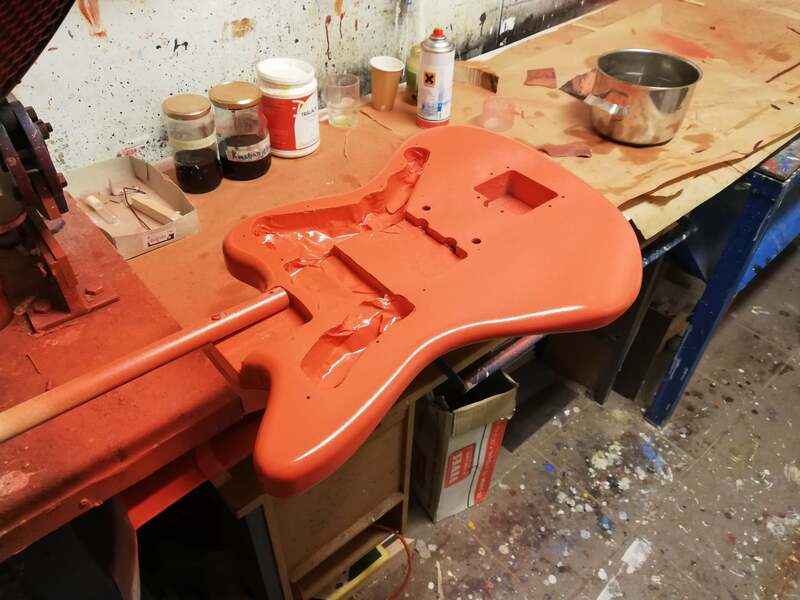 I came here looking for inspiration on refinishing my VM Jazzmaster. After some thinking I decided on fiesta red with amber clear.. And some light relicing. Here are some before shots! 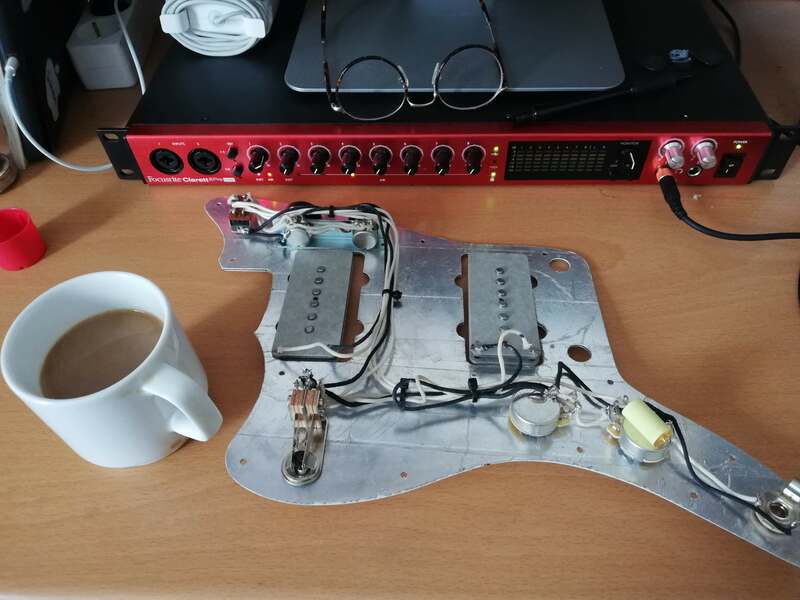 Pickups and electronics have already been updated to Fender Pure Vintage Pickups, CTS pots and staytrem bridge. I also have some gotoh light relic hardware in exchange for the standard squier stuff. I hope to get some cracking going when the nitro has cured! Getting rid of the old poly..
Fiesta with the amber coats. The lighting where I do the spraying does not do the colour justice.. It looks great in person! First "mockup" of the guitar.. 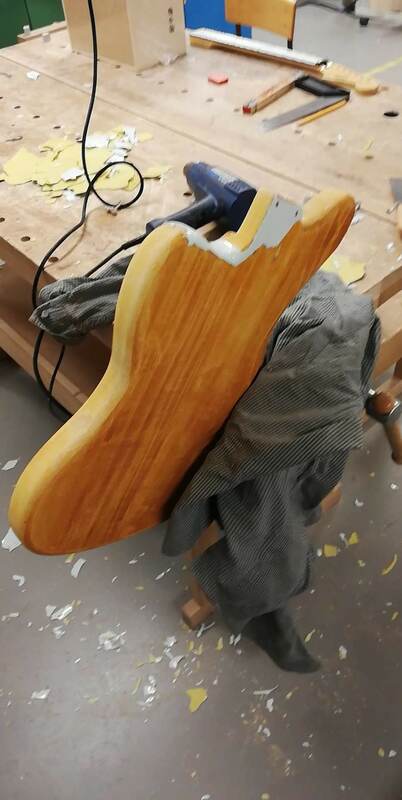 The neck has also been refinished. Right now I am at the hardest stage, waiting for the lacquer to cure.. I'll probably wait for 4 weeks, if I can! Last edited by jhanH on Thu Feb 07, 2019 10:27 am, edited 1 time in total. Got my aged klusons the other day, they look really good..
the project is looking good but please dont use a fender decal on a squier. Edit: I'll remove it from any posts I make and also the guitar. Bad judgement! User HNB does custom decals and I know lots of users here liked them a lot. Maybe ask him? I don't think you need to hide the photos or feel shame for what you did. Lots of people get into philosophical arguments like "even if he never sells it, what if one day someone inherits it and sells it as a Fender and someone gets ripped off." How about this: just don't sell it as a Fender. It doesn't sound like you intend to. It sounds like you're enjoying your refinished guitar. You can put a Hello Kitty logo on it, a Pepsi logo, a Gibson logo or anything else you want if it makes you happy, it's your guitar. Having said that, I stopped caring what logo is on the headstock a long time ago. I picked up a guitar from HNB with one of his funky logos based on an anime I have never watched and will never watch, and ironically it is an actual Fender neck, but I could never be bothered to refinish it just to stick a Fender logo back on there. TLDR: Do what you want with your guitar, and nice job on the fiesta red refinish. Last edited by Mechanical Birds on Mon Mar 11, 2019 12:55 am, edited 4 times in total. Yes, use whatever logo you please..
That Fiesta Red is a good choice. Keep at it. I re-did a Squier Strat and it became quite a nice guitar. Looking forward to more pics. fun fact. 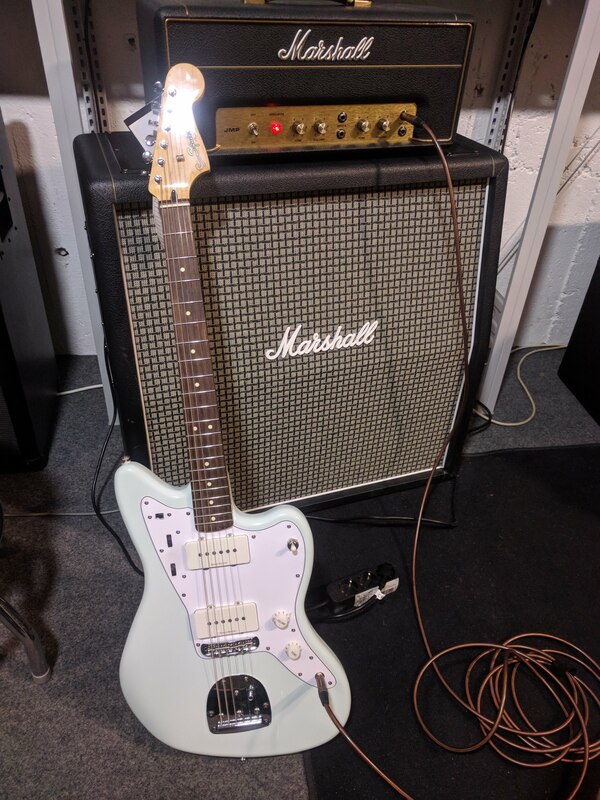 today i brought a squier bullet mustang that was sold to someone as a fender duo-sonic and they didnt know any better. their down £370 because they fell for it and i had to explain to them why it was not what it seemed. yes there is a buyer beware rule but even then, you dont know the set of morals the person you are selling it to. 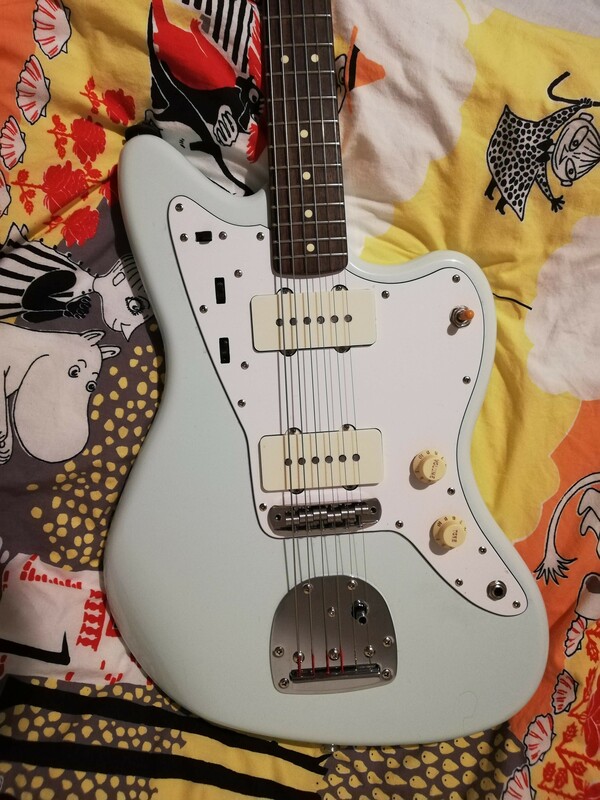 this isnt even the first fake fender i've seen that someone has tried to sell on. 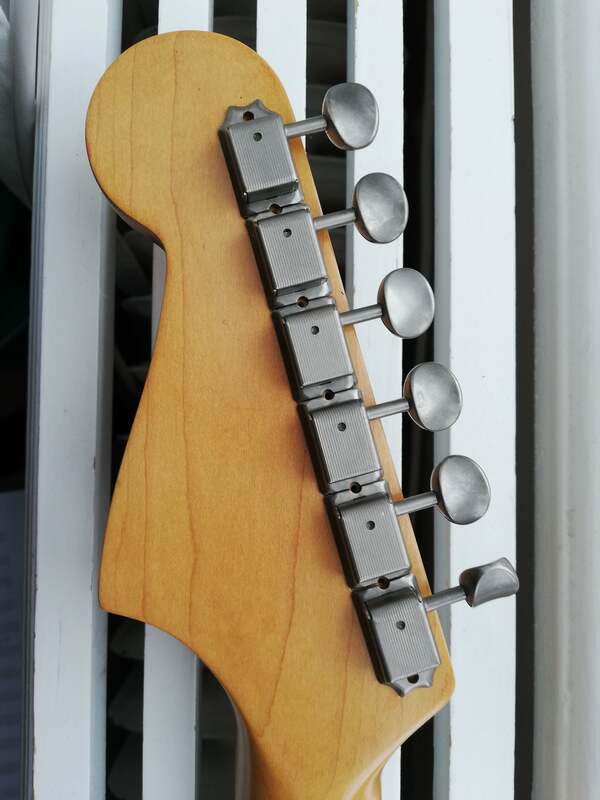 i worked in a charity shop that got a fake fender in. we told the person who brought it that it wasnt a real fender and sold it for £80. they came back 2 days later complaining we sold them a fake fender. it's best to remove all doubt.